Holle Thee Maxwell was born on October 17, 1945 as HOLLE THEE MARCLA RODE MAXWELL. 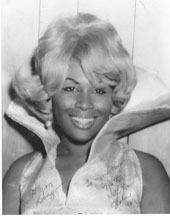 She recorded singles under the name “Holly Maxwell” in the 1960s-1970s for the record labels Constellation, (Curtis Mayfield’s) Curtom Records, Smit-Whit, and Star. Her songs “Only When You’re Lonely”, “One Thin Dime”, “Never Love Again”, “Suffer”, and “Philly Barracuda” were regional hits across the country. Today, her singles are sought by collectors across the world, especially in Europe where they call her sound “Northern Soul”. 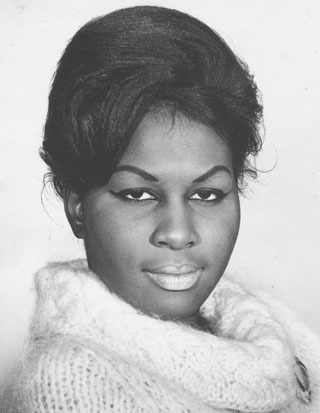 Holle Thee sang her first song professionally at the age of 5, studied classical voice and piano at the age of 9, , and graduated with degrees from both The Chicago Musical College at Roosevelt University and The Julliard School in New York City. In addition to singing soul, rock, jazz, country and blues, Holle also sings in French, German and Italian. From opera, to “Thee” blues (as she likes to call it), Holle Thee Maxwell can sing it all in a way that is distinctly “Holle”. Holle recorded with jazz great Jimmy Smith, and replaced Tina Turner in the Ike Turner’s band. 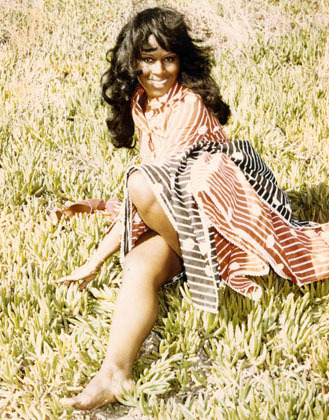 Holle also worked with The Temptations, Johnny Taylor, The Spinners, The Dells, Fred Williamson, Captain and Tenille, Reynaldo Rey and many others. Sammy Davis Jr., Redd Foxx, Sydney Poitier, Isaac Hayes, KoKo Taylor, Archie More, Sugar Ray Robinson, Muhammed Ali, Slappy White, Lou Gossett Jr., King Curtis and others have all been fans of Holle Thee Maxwell. AN ICON…A MUSICAL LIVING LEGEND…”THEE” BLACK BLONDE BOMBSHELL…There is only one HOLLE THEE MAXWELL!